Star Thermoplastics’ solution for a Colorado custom Molder when another firm fails to meet specs. A custom Molder built a mold made specifically to accommodate a thermoplastic vulcanizate (TPV) material. 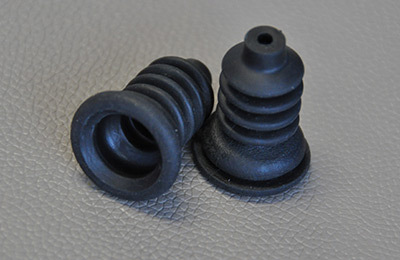 The TPV was chosen to replace an existing thermoset EPDM material used to make a small bellow-like lock grommet. 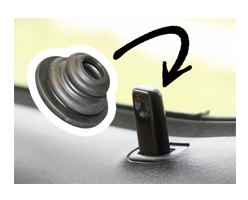 The grommet is used to reduce vibration in a locking assembly and enable snap back after activation. 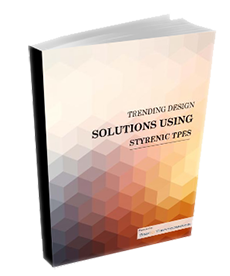 With a volume of 5 million parts per year, functionality and cost of the part was of critical importance. It was deemed that thermoset rubber, while functionally adequate, was too expensive. With potential cost savings in mind, the custom Molder started looking for a supplier of TPV materials. After finding a supplier and a candidate TPV material that met the specifications the application required, the supplier consolidated their product line and discontinued the TPV that the molder was considering for the application. 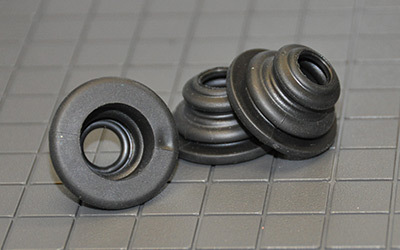 The TPV supplier’s other products could not meet the stringent specifications of the part in question leaving the Molder “empty handed” with the possibility of alienating their customer and losing the business. The molder immediately began a search for another supplier and material that could meet the needs that their customer expected for the part. In the process of their search, they came to learn of Star Thermoplastics. Star Thermoplastics immediately went to work on solving the problem. After working with the Molder to understand the needs of the application, Star Thermoplastics created sample materials for trial, and evaluation by the Molder. Out of the samples submitted, the Molder chose one that ran smoothly, met their pricing needs, and conformed to the overall specifications that the part required. This material ended up being used to successfully produce the grommets. Star Thermoplastics and the Molder were able to work together to zero in on a material that met the specification quickly…even after dealing with a change to the part specification in the middle of the development. The end result was the Molder, and their customer had a part that worked for them without interrupting their production schedule. The Molder said that “only Star was able to tweak the TPE to our needs quickly making it meet both our, and our customer’s needs” The end result was a material that needed no drying, had the processing characteristics needed for their multi-cavity mold, met all ASTM specifications, and performed well in hot and cold weather environments. The Molder was able to keep, and increase, their business, producing bellows for 3 major U.S. car manufacturers.